The urbanisation plan for Port-Louis, the capital of Mauritius, launched in 2016, is proving successful. Two years later, the smart city was ranked as the first African city where life is good. “By 2020, Port-Louis will be a model to replicate in other cities and villages across the country, and even on the African continent.” This wish expressed on January 16 2016 by Vishnu Lutchmeenaraidoo, the then Mauritian Minister of Finance and Economic Development, seems to be coming true. The urbanisation plan, entitled Port-Louis Smart City, did not wait until 2020 to get its first awards. For the year 2018, the Mauritian capital, with a population of around 150,000, is the first African city where life is good. This is what emerges from the 21st ranking of the world’s cities carried out by the French firm Mercer. In this report, published on March 15, 2019, Mercer examines 450 cities around the world. The development policy of Port-Louis, in particular the protection of the environment, the socio-political and economic climate prevailing in the city, was decisive for obtaining this distinction. 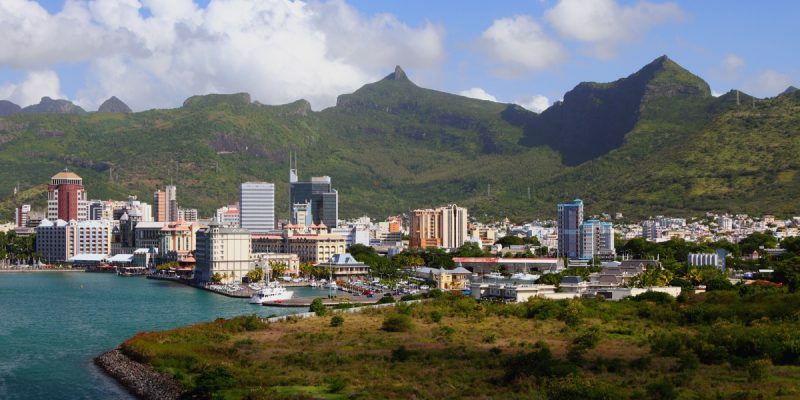 Through the Port-Louis Smart City project, the Mauritian government intends to transform the Mauritian capital into a green city. This approach involves limiting drinking water consumption (-85% of the 2016 quantity), monitoring the quality of discharged water, controlling energy consumption (-25%), preserving and promoting port biodiversity and managing environmental risks. In terms of urban mobility, public transport is favoured, through the renovation of Victoria and Immigration stations. The entrance to Port-Louis from the south is via Decaen Street and to the north via Place de l’Immigration. Buses drop off and leave without using these spaces as a parking space. This reduces road congestion by 40% in Port-Louis. Including economic and cultural aspects, the total cost of the Port-Louis Smart City project amounts to €322.9 million. Ultimately, the project will generate nearly 12,000 jobs and attract 60,000 visitors per year to Port-Louis.